Chiropractic adjustments are a technique used to align misplaced vertebrae in the neck and back. The adjustments can be administered to provide relief for some ailments such as headaches, back pain, neck pain and many others. Among the misconceptions about chiropractic, one that stands out is the one about you being forced to get chiropractic adjustments for life but this is not true. People who have had spinal adjustments have reported feeling relieved and more rejuvenated. Due to the potential healing power chiropractic has, you might just find yourself wanting more and more. There are also other benefits associated with regular chiropractic adjustments from your TC Chiropractor…. Restoration of Normal Joint Motion: When you have a problem with your spine or neck, you most likely have a limited range of motion. This can be due to a defect such as a sprained ligament or misaligned intervertebral disc. Besides this, the muscles surrounding the area could also become tense and potentially limit motion further. Chiropractic adjustments are focused on restoring the motion of your joints. Restoring this may open up any blocked neural transmissions and allow the body to heal. Furthermore, the tense muscles may free up after an adjustment and help to increase the range of motion of that area. 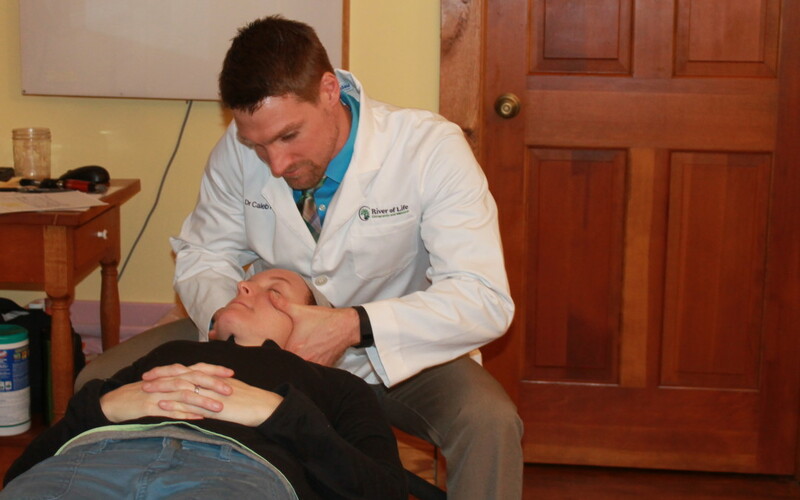 Visiting an TC chiropractor such as River Of Life can help lead you to a healthier spine and more range of motion. Helps to Relieve Pain: When you go to a chiropractor, he or she will carry out a physical examination right after taking your medical history and information. The purpose of this exam is to identify the underlying cause of pain. When the misaligned vertebra or another anomaly is found, it may be able to be corrected through adjustments. Chiropractic adjustments have been known to offer relief for joint, neck and back pain. You may also get better quicker because once the spine is realigned; the issue causing the pain can begin to heal. An exception is when you go for headache relief. Most people think that you must be experiencing a headache for you to go to a chiropractor but, they can treat recurrent headaches even though they aren’t present during treatment. Helps Your Body to Function at its Optimal Level: Chiropractic adjustments are a great way to maintain overall body health. When you get an adjustment done, it helps insure that your bones are in line and that you are experiencing normal joint movement and function. This can help you to move efficiently as well as maximize your body strength. This might be the reason that athletes regularly visit a chiropractor to get adjustments done. Apart from potential relief from injuries, the athletes may be more agile and be able to move swiftly. Relief From Old Injuries: Although it is advised to see your TC chiropractor soon after getting injured you can and should get seen for old injuries. Old injuries can be nagging with episodes of pain and discomfort every once in a while. Apart from this, injuries from trauma can also reduce the motion of the affected area e.g. shoulder, knee, ankle, Getting regular adjustments from the chiropractor helps to reduce the pain and discomfort of old injuries. Chiropractic is perfect for such injuries because it can potentially get to the cause of the problem rather than numbing the pain like conventional medicine. As you can see there are many potential benefits from chiropractic care. No matter if you have had some sort of accident, or you just want to get all lined up and feeling healthy, it may just be time for you to contact a chiropractor.